The replacement foam worked great on my 40 year old Fisher speakers I've had since college days and will enjoy them for decades to come! Easy to install. 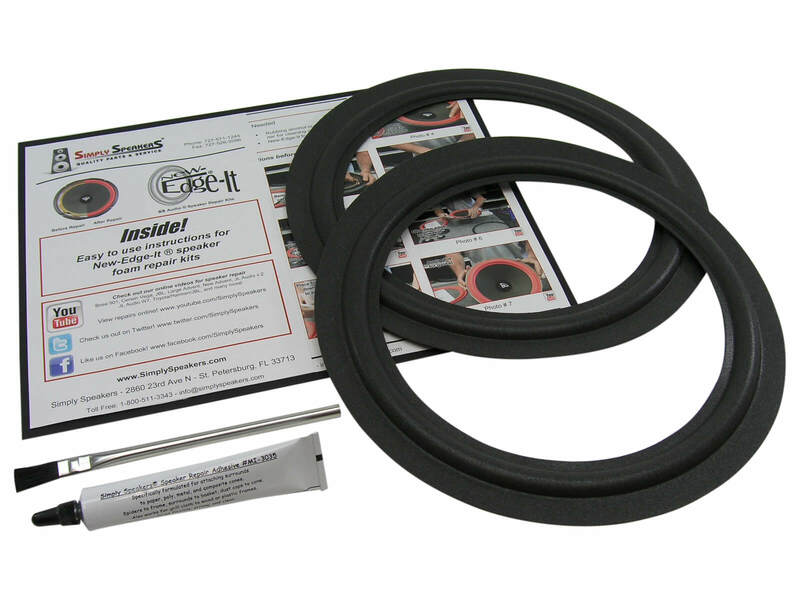 This speaker repair kit was easy to use. The online video was the selling point. Very detailed step by step instructions. One of the speakers works great. The other one has some other issues going on that this repair did not address. What a great experience. I ordered the wrong size and the guy made the switch for me lickety split. They sound great. 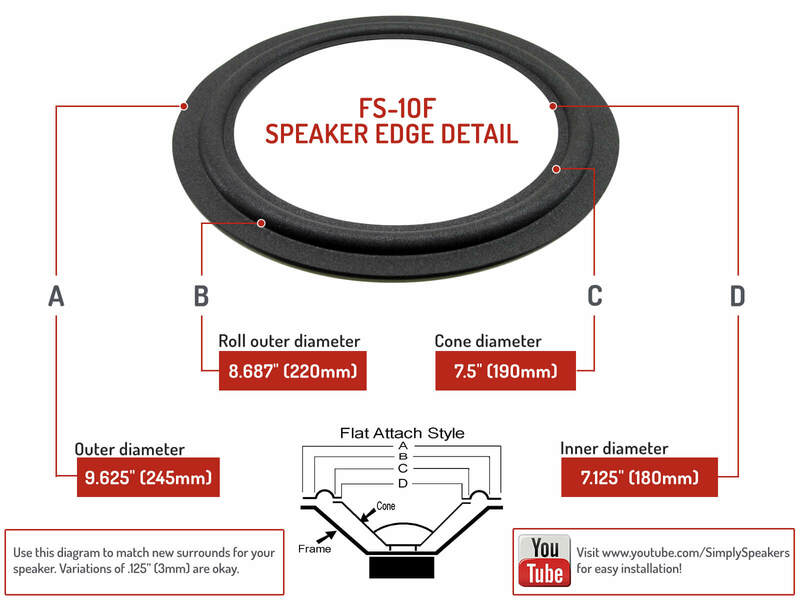 I used the FSK-10F Repair Kit on a pair of vintage Fisher speaker woofers. The Simply Speakers surround replace video was very helpful and although it took me three tries to get the surround on properly, I consider the job a success and will attempt this type repair again in the future using Simply Speakers. The fact that I was able to assemble and disassemble the surround three different times in order to get it right says a lot about the product. The speakers sound great, but I should caution that on this pair of vintage speakers the speaker throw is much longer which provides for the possibility to easily over bass the speakers using too much tone compensation. For those who love extra bass they sound great! I followed the youtube video demonstration and the speaker has been working well for several weeks now. Good as new, as far as I can tell! I bought the FSK-10F repair kit and it was awesome !!! It was easy to use , dried quick (1 hour) made my speakers sound brand new again. I would highly recommend this product to any and all! In fact I already have. Great job guys! The kit i purchased was a perfect fit and the instructions were right on and very helpful. The speakers sound as if they are brand new. Nice kit. All went well in mounting the foam. Instructions were easy to fallow. Fisher: 104, ST-633, ST633, ST-640, ST640, STE-F2, STEF2, STV-920, STV920, STV-9725, STV925, STV-9728, STV928, SW-9040, SW9040, XP-6, XP6, P-6505, P6505, XP-65K, XP65K, XP-65S, XP65S, XP-66KC, XP66KC, XP-7, XP7, XP-86A, XP86A, XP-99D, XP99D, and many more!